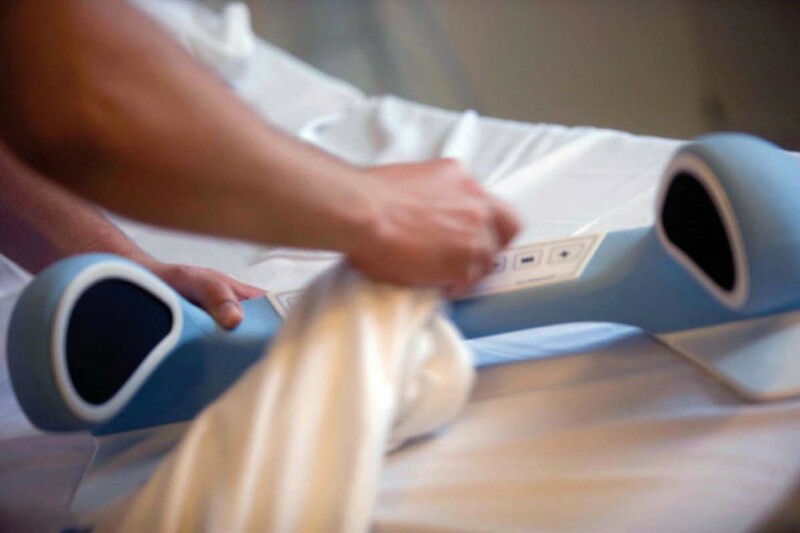 The player can be used on all kinds of pillows and operating tables as well as most high-backed easy chairs. The player has an organic and neutral design that fit into most surroundings. AudioCura M2 has a simple and intuitive control panel, large and self-explanatory buttons and built-in light for night use. At the same time self-dosing with a remote control is also possbile. Soft PUR material and a unique design ensures high hygiene standards and ease in connection with cleaning. The product has been tested and approved by hygiene nurses. 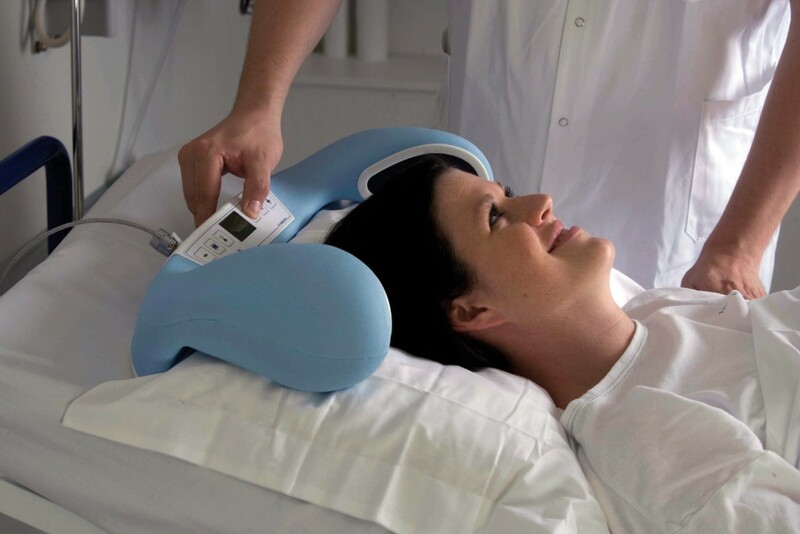 highest sound quality for the treatment of patients with music. 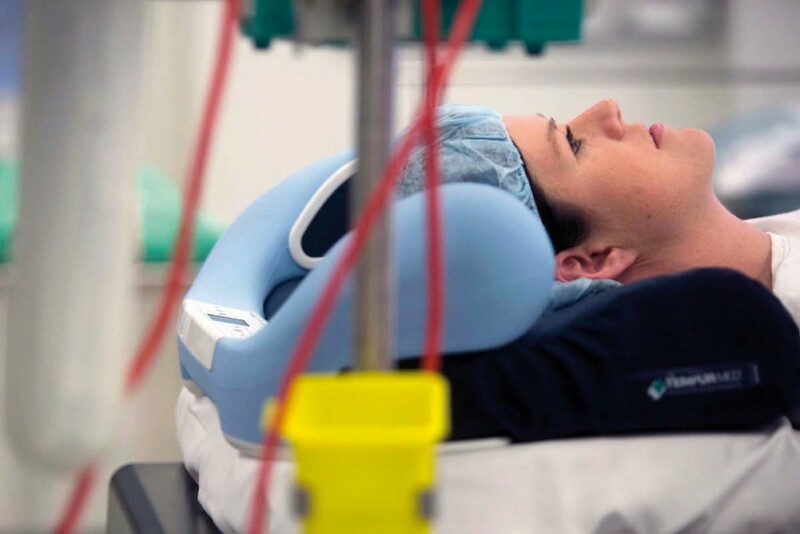 With its medically approved adapter the built-in batteries quickly recharge. AudioCura M2 plays over 20 hours on a single charge. 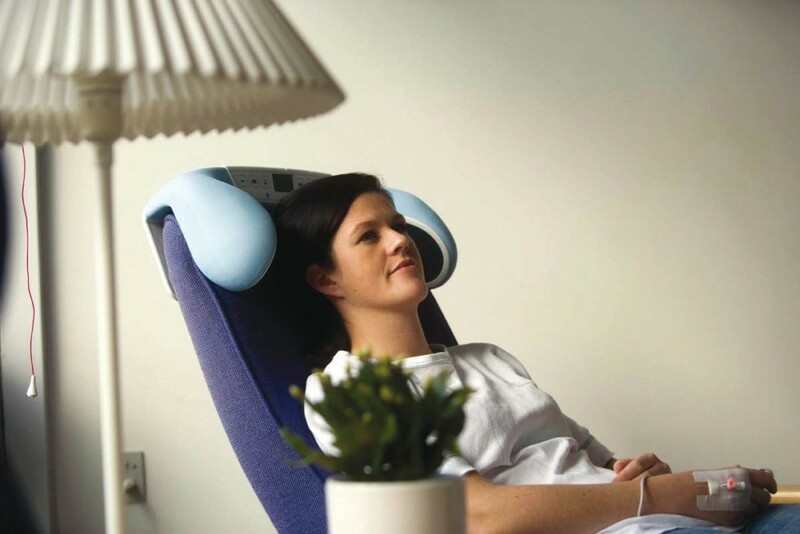 The treatment program “MusiCure for Relaxation” included with the purchase of an AudioCura M2. Additional music can be purchased. 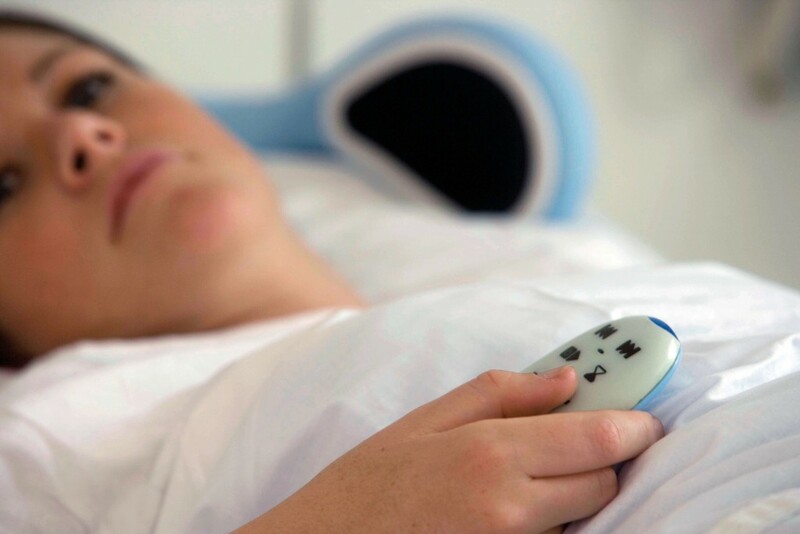 An ergonomic remote control allows the user to self-dose. Multiple users can operate their own remote control in the same room. Use a cable lock to counter theft of the player. Simple, easy and fast. With an audio cable it’s easy to connect external audio sources such as an iPod, TV, DVD player, etc. It is possible to buy an additional medically approved power adapter to the player.